⬅ Patience, Persistence, and Positivity! Sometimes it’s difficult to know exactly what to do with your time when you’re in an administrative leadership position at the fire department. Yes, there are mission-critical functions to complete but those are often more strategic than tactical. You’re acting with the BIG picture in mind. Leaders help others grow. Illustration by Paul Combs. This can be very challenging for the firefighter at heart who is now in an executive leadership position. No longer do you respond to those routine calls and operate as a tactical commander. You’re now part of a strategic leadership team. And by the way, not all firefighters should just promote up to a leadership position. 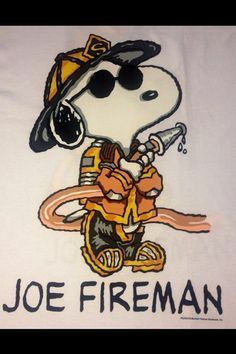 I personally made the transition from front line firefighter to company officer then to chief officer, but it’s taken a lot of time and practice to be where I am now. Over the last 30 years I’ve discovered through lots of trial and error why we need leaders, how to work safely and effectively with people, and in many areas what not to do. I continue to learn more every day. There are times when I’m fond of my role as a chief officer and there are other days when I’m not. The structured, rule-driven processes such as fiscal procurement and asset inventory are much less interesting to manage and at times are too routine for my taste. After all, I’m a firefighter and my adrenaline flows when I’m tangled up in a dangerous and chaotic challenge. But the successes are sweeter now that I get to work with more people on several valuable projects. And the challenges are much larger which requires more critical thought and have greater impact. I have more influence and more opportunity to grow more leaders. So I will continue to grow myself, so I can help others grow. I’ll keep looking for what it takes to be a good leader and an effective member of our leadership team. I’ll spend my time (when I’m not ordering stuff and counting things) helping build a learning organization that gets things done and encouraging others to be better leaders through reading and open discussion. Despite my 30 years of fire service experience, with 20 of that as an officer, I still have much to learn. But that’s alright, it’s my challenge! Question: What is your leadership team doing? See more illustrations by Paul Combs here. Always Make a Difference: Happy St. Paddy’s Day!